An examination of the post-Darwinian history of biological taxonomy reveals an implicit assumption that the definitions of taxon names consist of lists of organismal traits. That assumption represents a failure to grant the concept of evolution a central role in taxonomy, and it causes conflicts between traditional methods of defining taxon names and evolutionary concepts of taxa. Phylogenetic definitions of taxon names (de Queiroz and Gauthier 1990) grant the concept of common ancestry a central role in the definitions of taxon names and thus constitute an important step in the development of phylogenetic taxonomy. By treating phylogenetic relationships rather than organismal traits as necessary and sufficient properties, phylogenetic definitions remove conflicts between the definitions of taxon names and evolutionary concepts of taxa. The general method of definition represented by phylogenetic definitions of clade names can be applied to the names of other kinds of composite wholes, including populations and biological species. 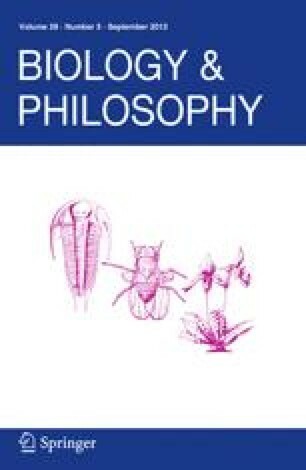 That the names of individuals (composite wholes) can be defined in terms of necessary and sufficient properties provides the foundation for a synthesis of seemingly incompatible positions held by contemporary individualists and essentialists concerning the nature of taxa and the definitions of taxon names.